It's been a good week this week. Got some really cool books! "The first magical adventure in a major new trilogy, Animal Wizardry, is a thrilling blend of edge-of-your-seat action, laugh-out-loud humour and unforgettable characters. Running to save his life, Aldwyn, a streetwise orphan cat, ducks into a very strange pet shop… Moments later Jack, a young wizard-in-training, comes in to pick out his familiar - the magical animal that will accompany him forever. Aldwyn has always been clever. But magical? Apparently Jack thinks so - and Aldwyn is happy to play along. Anything to get out of town… Back at wizard training camp Aldywn really thinks he’s landed on his feet! All he needs to figure out is how to convince the other familiars - the know-it-all blue jay Skylar and the friendly tree frog Gilbert - that he’s the telekinetic cat he claims to be! Then something terrible happens - Jack and the other young wizards are captured by the evil queen of Vastia. 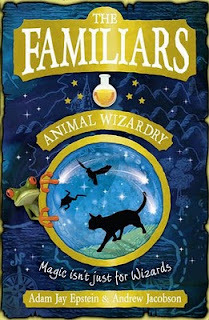 Together their familiars must save them - but how? Join Aldwyn, Skylar and Gilbert on their quest across the land as they face dangerous foes, unearth a shocking ancient secret and discover a mysterious destiny that will change them all forever." This sounds really interesting. Cannot wait to start reading it. Thanks to HarperCollins for my copy! "The first book about ten-year-old FRANKIE FOSTER – the girl who wants to help, but ends up causing chaos! Frankie Foster loves fixing people's problems. Her help might not always be welcome – and she might cause the odd total disaster – but Frankie always fixes things. Eventually! It all started with the “My Beginnings” essays that Frankie and her classmates had to write for English. Her best friend, Jem, wrote all about how she felt being adopted and it was so good it got chosen to be read out at the end of term Speech Day! But writing the essay stirs up some questions for Jem, and she starts wondering about the identity of her biological mum. Needless to say, Frankie jumps at the chance to uncover the mystery and makes it her mission to reunite mother and daughter… regardless of the consequences!" 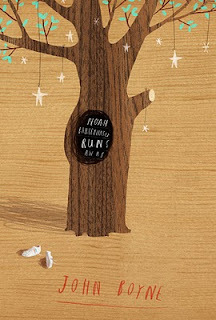 "In "Noah Barleywater Runs Away", bestselling author John Boyne explores the world of childhood and the adventures that we can all have there. Noah is running away from his problems, or at least that's what he thinks, the day he takes the untrodden path through the forest. When he comes across a very unusual toyshop and meets the even more unusual toymaker he's not sure what to expect. But the toymaker has a story to tell, a story full of adventure, and wonder and broken promises. And Noah travels with him on a journey that will change his life for ever. This is a thought-provoking fable for our modern world from the author of the bestselling and critically acclaimed 'Boy in the Striped Pyjamas'." 17-year-old Grace wakes up in a white room, with table, pens and paper - and no clue how she got there. As Grace pours her tangled life onto the page, she is forced to remember everything she's tried to forget. There's falling hopelessly in love with the gorgeous Nat, and the unravelling of her relationship with her best friend Sal. But there's something missing. As hard as she's trying to remember, is there something she just can't see? Grace must face the most important question of all. Why is she here? A story of dangerous secrets, intense friendships and electrifying attraction." This sounds absolutely brilliant and Cat is so cool! Looking forward to starting this later today. I read the first chapter the other day and was hooked. It's just a shame that I had to finish another book or this would of been devoured instantly! Thank you to Parul at Quercus for my copy! 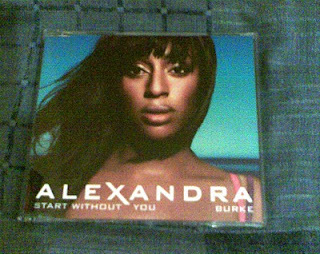 Alexandra Burke's latest single, Start Without You, which is on course to be Number 1 later on today! Love this song. A real Summer song. So that's what I got this week. What did you get? :) Hope everyone has a great week! I'm not keen on that Alexandra Burke song y'know. I think her album's much better. Speaking of music, I got The Script's new CD today, which is excellent. 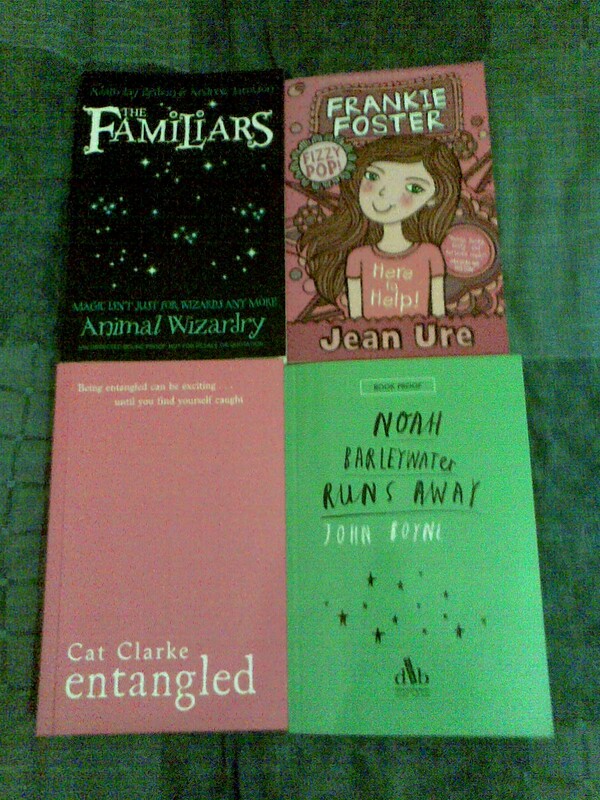 Yay for Noah Barleywater and Entangled! Really Jenny? I love it. Although there are better on the album, that is true. Did you hear the clip of one of her songs "Perfect" on X-Factor near the end? I bet it's the next single as it was played and she tweeted about it hinting. Argh! :D And ooh. That album is supposed to be good! I want it! :D My sisters got it but at her boyfriends so I'll steal it when she's back! I'm halfway through Entangled and read it as soon as I received it! Loving it! I have Noah Barleywater too! You got some pretty good books to review. 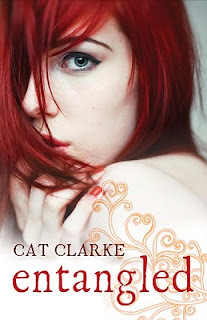 Entangled by Cat Clarke looks so good, I do hope it's good. Enjoy! 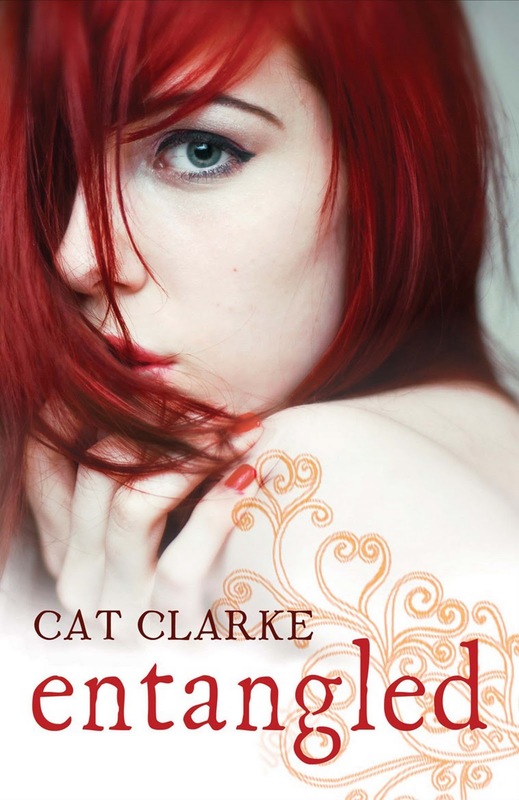 I am so excited for Entangled. I love the cover, and am super-jealous that you have a copy of it. Happy reading!